Although Black Friday is most popular in the United States where it originated - did you know that Cyber Monday surpasses Black Friday as the biggest shopping day of the year? Yup, that's right! Cyber Monday is now the biggest retail day of the year in the US, and its popularity is growing in Canada and Europe every year. So, What Exactly Is Cyber Monday? Despite its name, Cyber Monday isn't a day where only computer stores and tech companies offer deals. Nope, Cyber Monday gets its name from the fact that it's an online-only shopping experience. The truth is, on Cyber Monday you're likely to find as many great deals on tech as you are fashion! Businesses in the US noticed that online sales started to peak on the Monday following Thanksgiving (celebrated the 4th Thursday of November). Perhaps shoppers missed out on a particular item during Black Friday sales, or regretted not buying an item while it was on sale. Whatever the reason, Monday quickly became known as Cyber Monday, and, well the rest is history. Cyber Monday always occurs on the Monday after American Thanksgiving. Many online deals start right at the stroke of midnight, so be prepared to do some late night shopping. Given the time of the year that it occurs, Cyber Monday - like Black Friday - is the perfect time to do Christmas shopping since you can save a ton of money in the process. In 2017, Cyber Monday sales hit $6.6 billion dollars, to become the biggest shopping day in US e-commerce history. It was also the single biggest shopping day in Amazon's history. Things are only expected to get bigger, too - with sales expected to reach $523 billion dollars in 2020. 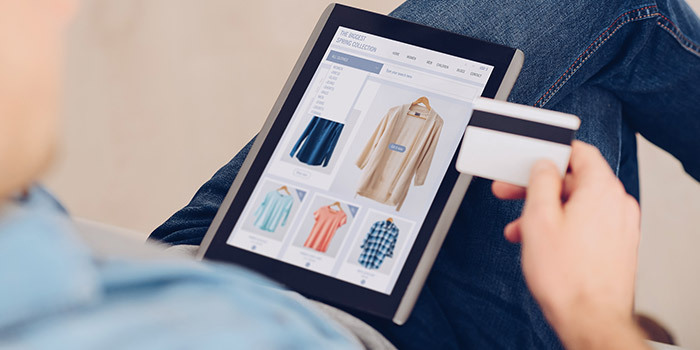 Since Cyber Monday is online, convenience is one of the key reasons for its popularity. Cyber Monday also matches the preferences and lifestyles of today. With so many people shopping online, and on their mobile devices, Cyber Monday has become the perfect time and place to get an incredible deal. Additionally, shopping online means not having to battle the mall parking lot, only to find that perfect gift is no longer in stock. Again, although it's called Cyber Monday which could lead you to think everything is tech-related, the name is referring to the fact that everything is online. So you'll be able to find deals on clothing, electronics, housewares, movies, and even a kitchen sink. Although the deals change year to year, its historically known that Cyber Monday has some amazing deals on beauty products and clothing. Typically, you can find deep discounted travel packages as well. Many retailers also offer "flash deals" where they might offer an extra discount to the first 100 shoppers who respond to a post. Being that Cyber Monday is totally online, social media has played a key role in allowing any one to find the best deals. Twitter has been a leading platform, with hundreds of thousands of retailers using it to advertise their best deals. Try searching Twitter for #CyberMonday to find all the big deals, or get more specific by searching something like #CyberMondayPhones. Also, check out the Facebook page of your favourite retailers to see what hot deals they're dropping on Cyber Monday. It's also the best source for "flash deals", too. Last but not least, head to RedFlagDeals for a huge list of everything Cyber Monday, with what retailers are doing on this joyous online occasion. Here's to finding the best deals online! Happy Cyber Monday. There's no other way to describe Black Friday than "crazy". Venturing out for 2018? You'll need an action plan! Be sure to read how you can make the most out of Black Friday.